In the world of rugs, there are an infinite number of designers who are inspired by manufacturing techniques, colour choices, and the creation of unique stories to create rugs that are more than just pieces of material that happen to appear pretty. They develop lasting pieces of artwork that positively affect the look and feel of their new owners’ home or office space. Innovative design is key. Here we showcase ten inspired collections that made their mark in the world of rugs. 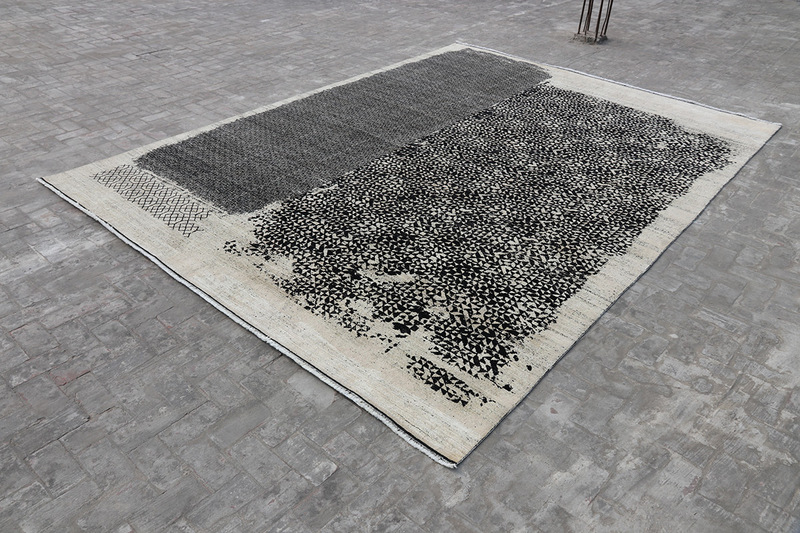 Vanessa Barragão from Portugal uses artisanal techniques to craft carpets and tapestries from textile industry waste products. Having grown up at the seaside, her strong sense of connection to the sea inspires her work. 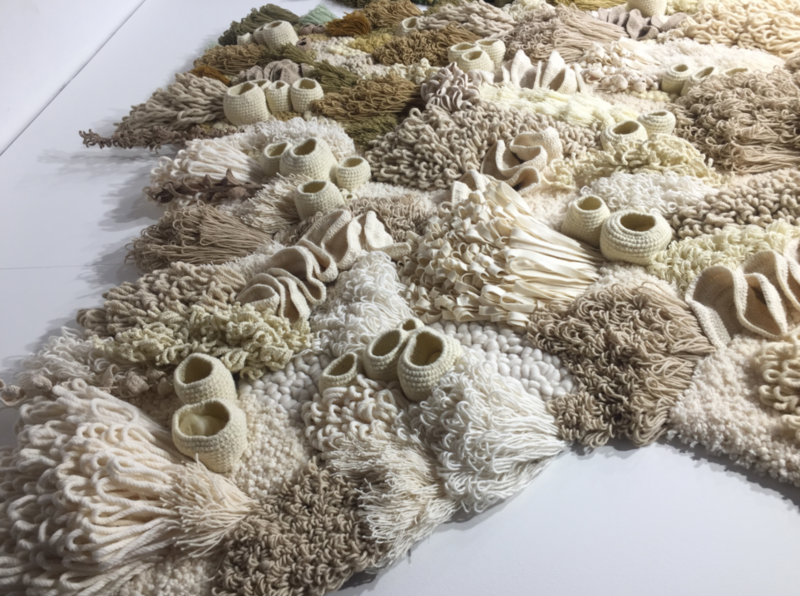 Using techniques such as crochet, macramé and knitting, she recreates three-dimensional coral reefs from recycled materials. Barragão lives in Porto – the heart of Portugal’s textile industry – and is therefore painfully aware of the damage the industry does to the environment, especially to the world’s oceans, which absorb 90% of the world’s air pollution and are therefore warming up. Part of her aim with her work is to encourage people to re-think the way they treat the environment while at the same time raising awareness of the dangers associated with coral reef die-off. 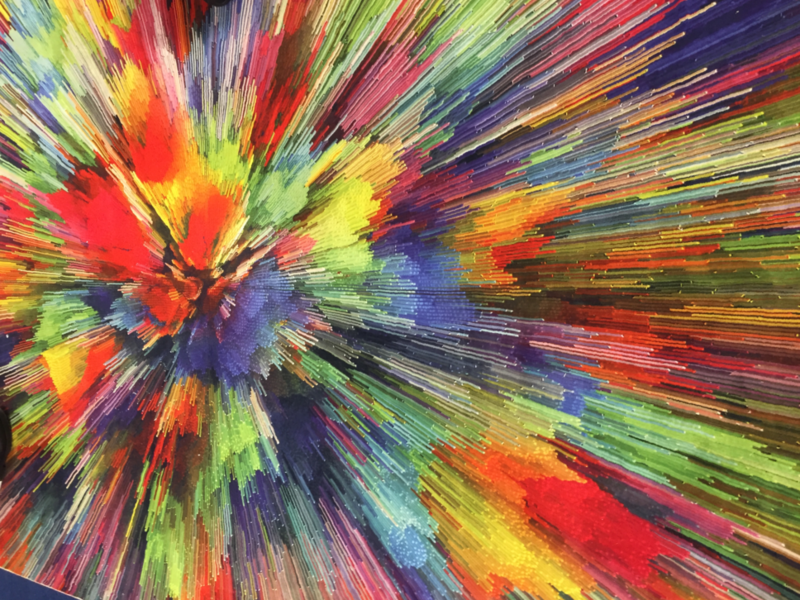 Digital technology allows designers to create detailed images which are printed onto fabrics. This technology has opened up a world of opportunities in terms of design, enabling even the recreation of the look of certain floor types, such as stone. 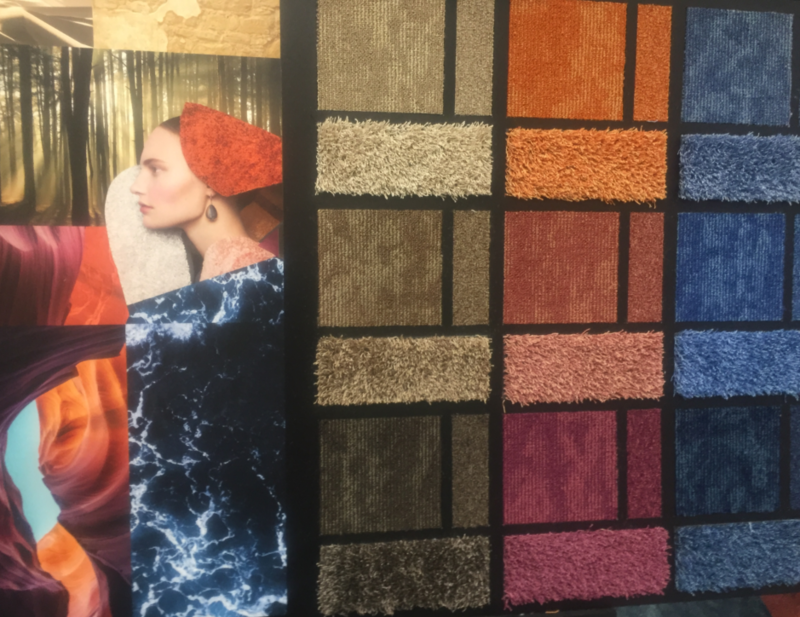 These rugs are certainly eye catching and as 3D technology continues to develop at a rapid rate, we can expect continuous growth in demand for these products. 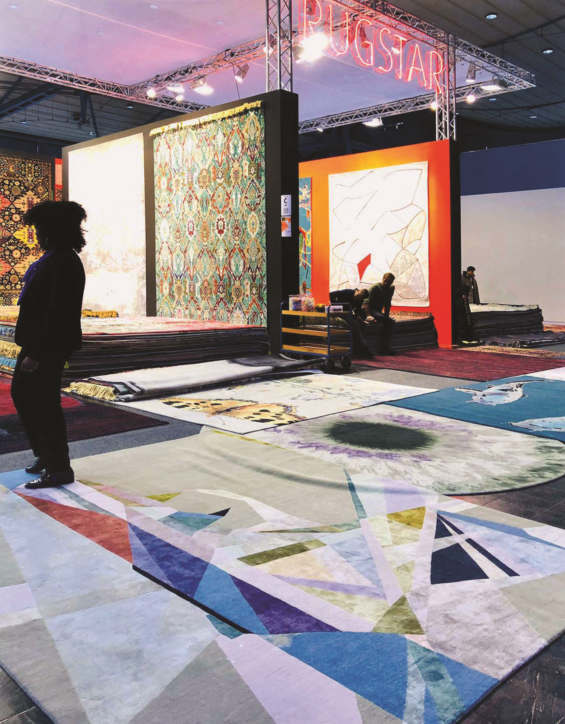 There is an ongoing debate regarding the use of technology versus handmade rugs, however, those who have been in the industry for decades advise an element of human involvement in the manufacturing of rugs. This is because rugs are vibrant, warm, tactile and imbued with the energy and artistry of the people who have made them, along the entire chain. One beautiful collection of rugs has well defined texture levels. The primary layer has a design of its own, with a secondary level appearing on the primary layer. The secondary level is raised above the primary level and it too has its own design. This look and feel shows how the creation of textured levels when used in collaboration with select colours can create a unique design that instils the personal input of the manufacturer. Several collections of rugs displayed a combination of patterns, namely two patterns on one rug. One specific collection made use of three colours – black and white for the different patterns, and grey as the foundation colour. These two patterns create two focal points, and surprisingly, the combination of the two patterns does not make the rug appear busy from a visual point of view. Instead, it is a true masterpiece, making it a popular choice among rug designers. A common design choice is to take actual art pieces and transfer them onto the rugs. 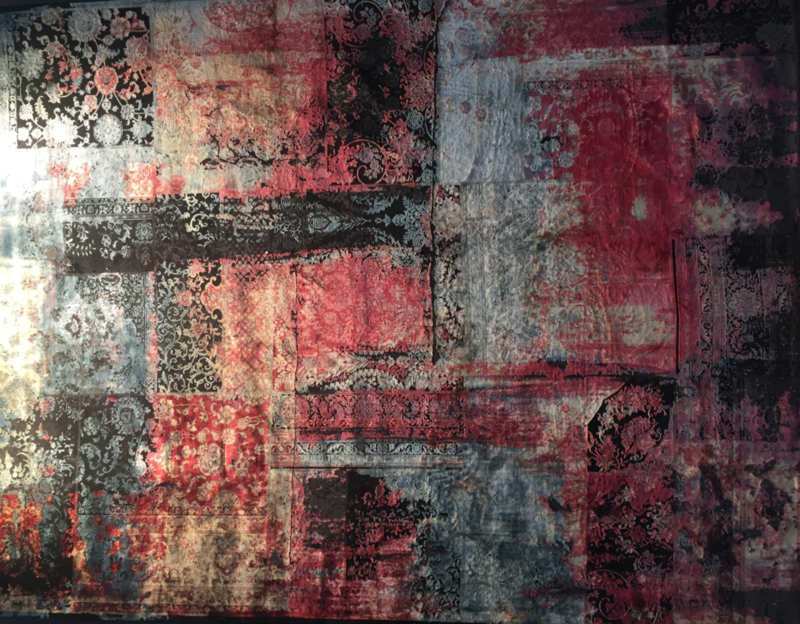 This turns a common rug into an artwork, which can completely transform any space from bland to grande. It is an inspiring design choice and once again shows what can be achieved with rugs. Several collections made use of geometric shapes to enhance the look of their rugs. 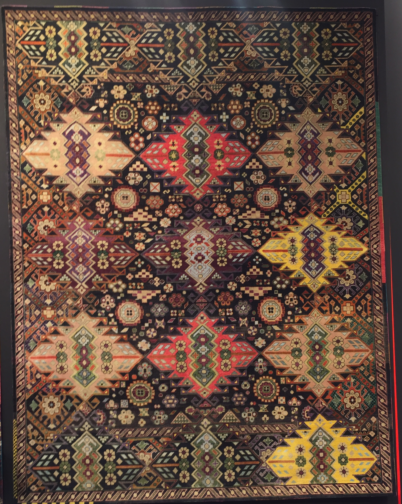 More than one shape was used on a rug, with many using several shapes in different colours on a single rug, making the rug appear vibrant and interesting as each shape directs the eye in a specific direction. It’s important to note that the geometric shapes are used with striking, vibrant colours. Greige is once again one of the leading colour choices this year, however, the combination of colour and texture is key. Colour alone is not an option. Green in all shades is considered the colour of the year. These shades include Lime, Grey Green, Dark Green and just green. Monochromatic colours were also popular, and clearly visible on the mixed pattern designs. In addition, bright, vibrant colours were often used, especially on the rugs making use of geometric designs. The colour choice is invariably influenced by the design and shouldn’t necessarily be used just because it is a trend. In interiors, the area around objects – the negative space – rests our eyes and brings positive elements into clear focus, creating a subconscious sense of visual comfort and harmony. This is very evident in rug trends. 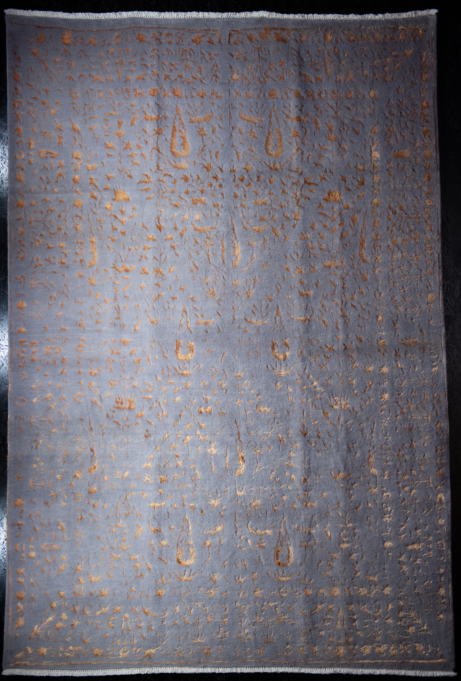 Rugs were created with specific negative space in the form of clear, open areas with no designs. The areas surrounding the negative space were in the form of intricate designs that appeared busy, yet beautifully designed at the same time. Several rug designers combined the old with the new, often using older Persian rugs as the primary product which were then modernised using technology. This resulted in traditional rugs. 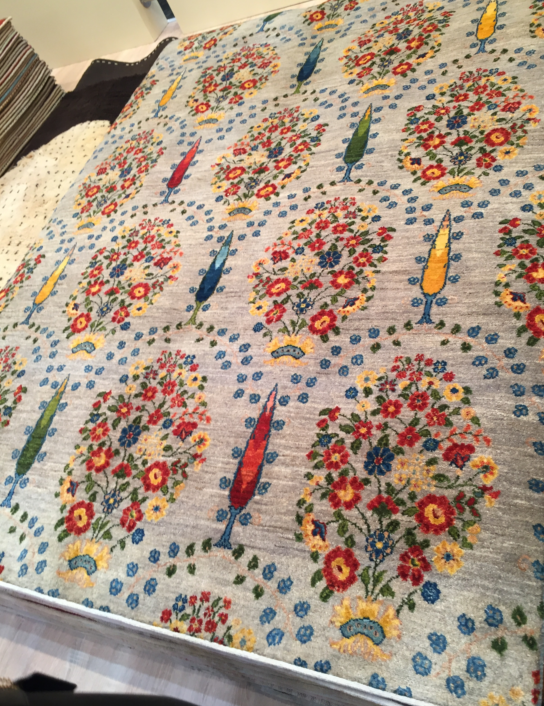 Vintage rugs are also all the rage, emphasising how older rugs are still in demand. Customised rugs are extremely popular as they can be designed to fulfil every need of the buyer. The degree of customisation is endless and literally, every wish can be fulfilled – from colour, texture and construction to the materials used, etc. 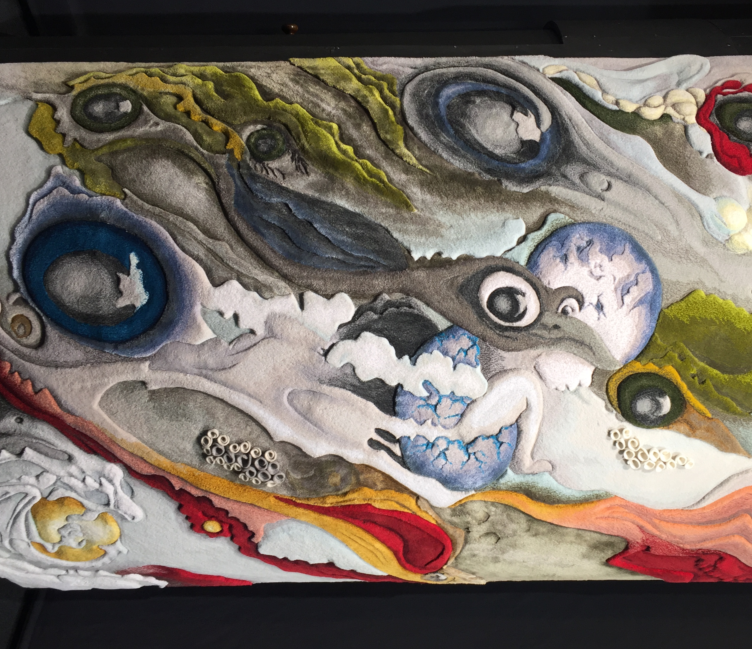 There were several other inspiring rugs that made use of specific manufacturing techniques to create masterpieces we never thought possible. 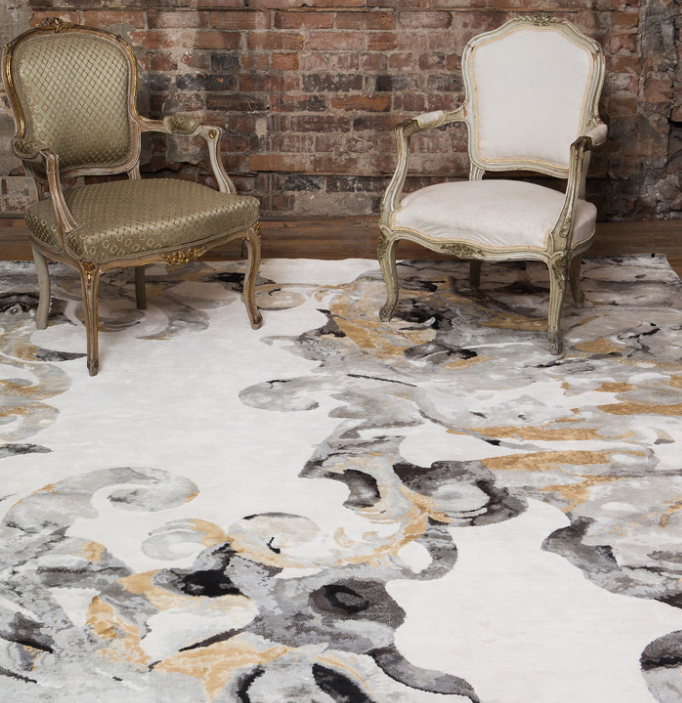 They left us speechless, but the inspiring rugs mentioned above will beautify any home or office space in an instant. They are artworks for a reason, and we are pleased to be able to share what we saw with you.